MYC Mayor Michael Bloomberg announced that 2012 experienced an all-time high in tourism, as well as all-time lows for murders and shooting deaths, as well as fire fatalities. 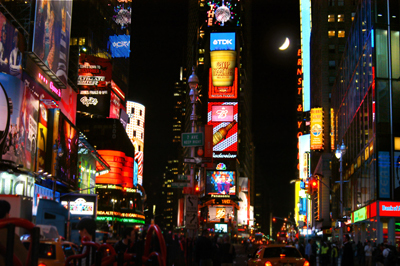 New York City Mayor Michael Bloomberg is celebrating a record-breaking year for city tourism in 2012. Despite the devastation caused by Hurricane Sandy, which all-but shut the city down in early November and forced the cancellation of the New York Marathon, the city’s tourism industry raked in $55.3 billion in 2012 and its hospitality sector employed over 350,000 New Yorkers across the five boroughs. In the past year the city also hosted 52 million visitors. “New York City continues to attract people from all around the world who want to experience our unique culture, food, parks, shopping, arts and energy. The tourism industry is thriving, creating thousands of jobs for New Yorkers at all rungs of the economic ladder. We are well on our way to achieving our new goal of 55 million visitors and $70 billion in economic impact by 2015,” the mayor announced while speaking on Wednesday at the American Museum of Natural History. According to the Deputy Mayor for Economic Development, Rokert K. Steel, tourism is the city’s fifth largest industry. Part of the recipe for success, is that New York City & Company, the city’s official marketing, tourism and partnership organization, maintains a presence in 18 global markets. Since a 2006 merger between NYC & Company and the city’s marketing department, overseas visitors have increased from 28 to 33 percent. Among the emerging visitor markets are Brazil, Chile, Argentina, and Australia, which range from 157 to 447 percent growth. Along with the record highs for city tourism, the Mayor announced that 2012 experienced record lows in fire fatalities and murders. “With record low number of murders and shootings and the fewest fire deaths in our city’s history, 2012 was a historic year for public safety,” Bloomberg said, citing the FDNY’s improved fire safety over the past decade, and the achievements of EMT’s and paramedics. Fire death have dropped 12 percent from 2011, while murders are down 19 percent from last year. In the past 11 years, murder rates have dropped 35 percent. “Stepping back further makes the picture even more impressive: In 1990, New York City had 2,245 murders; an average of more than six a day. Today, we average closer to one a day – even though our population has grown by roughly a million people over the same period of time,” the mayor pointed out, citing the city’s strict gun laws and the dedication of NYPD officers. While Bloomberg praised these numbers, he also said that more can be done to curb gun violence, especially in the wake of the Sandy Hook Elementary shootings. “...2012 was a year full of big accomplishments. And we’ll continue to raise the bar in 2013,” Bloomberg concluded. High School TV Quiz Show Champs! Subject: LongIsland.com - Your Name sent you Article details of "NYC Tourism Reaches All-Time High, Coinciding with All-Time Lows in Murder, Fire Fatalities"